The Mortgage broker works for you. The bank doesn’t. Take a look at the differences between my services & the bank’s services on qualified applications. The main difference is when you work directly with a bank you are limited to only the products their institution offers. When you work with a mortgage broker they will act as a middle man and track down the best lender that suits your needs. While the majority of homeowners in Canada still use traditional banks for mortgages, the use of a mortgage broker is trending upward. The main reason we are seeing a rise in mortgage broker use is simple, people want a deal and they want the best rate available. Mortgage brokers work with many lenders, including big banks and smaller lenders, they often have access to a better rate, and save you from jumping bank to bank trying to negotiate a rate. Contact Mike Havery today and start owning! 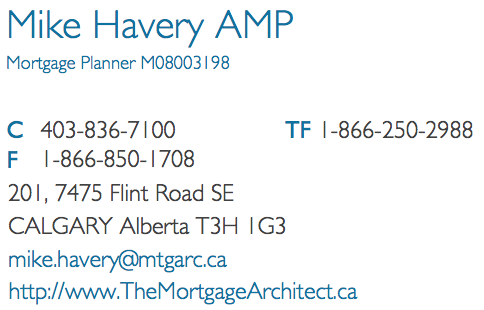 You can download his My Mortgage Planner App using the following link: Download App. It includes everything you need to estimate your home ownership costs, includes Land Transfer fees, closing costs , and much more.